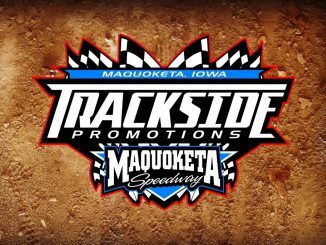 MAQUOKETA, Iowa (April 13) – Forecasts calling for less than pleasant temperatures Saturday and Sunday have resulted in postponements of Deery Brothers Summer Series events at Maquoketa Speedway and at Dubuque Speedway. Both IMCA Late Model tour events are to be rescheduled. The 33rd annual Deery Series now opens at Cedar County Raceway in Tipton with a $2,000 to win, minimum $300 to start main event next Saturday, April 20. Pit gates open at 4 p.m. and the grandstand opens at 5 p.m. Hot laps are at 6:30 p.m. with racing at 7 p.m.
More information is available by calling 563 340-4079. 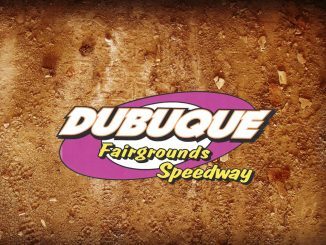 By Jerry Mackey DUBUQUE, Iowa – This Sunday, Aug. 26, Dubuque Hose & Hydraulics will present the 2018 season championship races at Dubuque Speedway. Track championships will be decided in both the Merfeld Brothers Auto IMCA Modified and GSI Collision Specialists IMCA Northern SportMod divisions. Fans in attendance on Sunday night will have an opportunity to win tickets to the 41st annual Yankee Dirt Track Classic. A drawing from the ticket stubs will be held prior to the features on and three lucky fans will win three-day Yankee tickets. Farley Speedway will host the Yankee Thursday, Friday and Saturday, Aug. 30-Sept. 1.